Enjoy a FREE one-night game rental from Redbox tonight. Just reserve your game online, no promo code necessary. 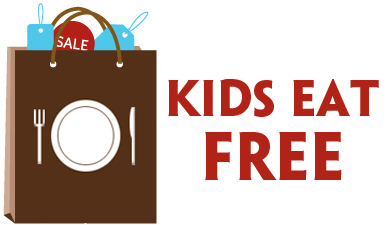 This offer is valid for a limited time only. Enjoy! Enjoy a FREE one-night game rental from Redbox tonight. Just reserve your game online, no promo code necessary. This offer is valid for a limited time only. Enjoy! Enjoy a FREE one-night game rental from Redbox this weekend. Just text R1 to 72727 to receive your promo code. This offer is valid for a limited time only. Enjoy! 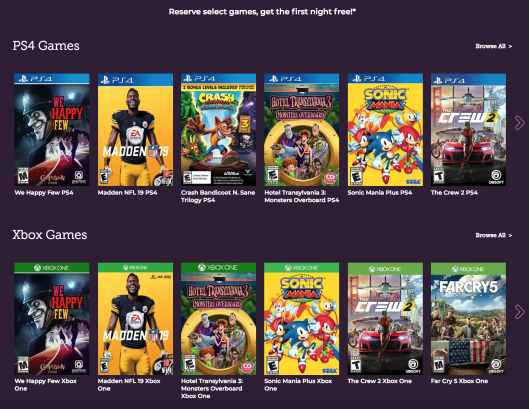 Through 8/13, get a FREE video game rental from Redbox! Valid on first day rental of select video games. Reserve online and the promotion should appear automatically in your cart. 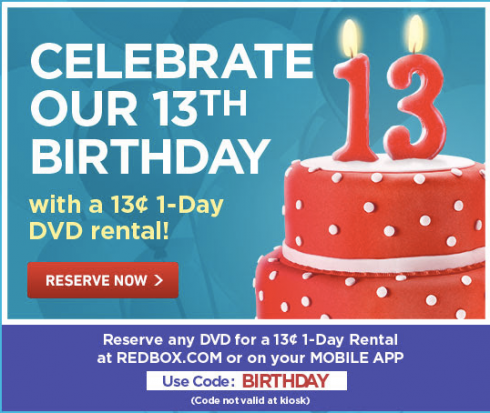 Celebrate with Redbox today and enjoy a Redbox Rental for $0.13 with promo code BIRTHDAY during checkout! 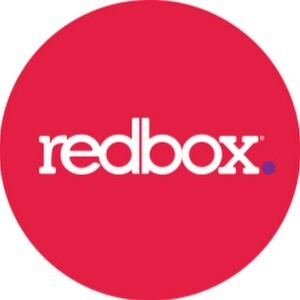 This code is valid online only at Redbox.com or in the mobile app. 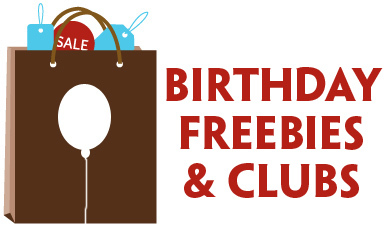 Happy Birthday Redbox!